Robotronicdiagram. - Here is the Arduino project with the title Interfacing LCD to Arduino Circuit Schematic and List Programming from circuitstoday. In here you will show the circuit schematic of Interfacing LCD to Arduino and also will show the listing program for Interfacing LCD to Arduino. 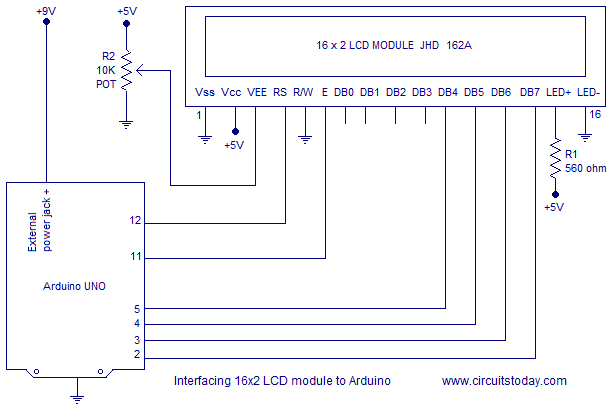 The circuit schematic of Interfacing LCD to Arduino like in figure 1. And for more information about Interfacing LCD to Arduino Circuit Schematic and List Programming please visit the original project using Arduino.